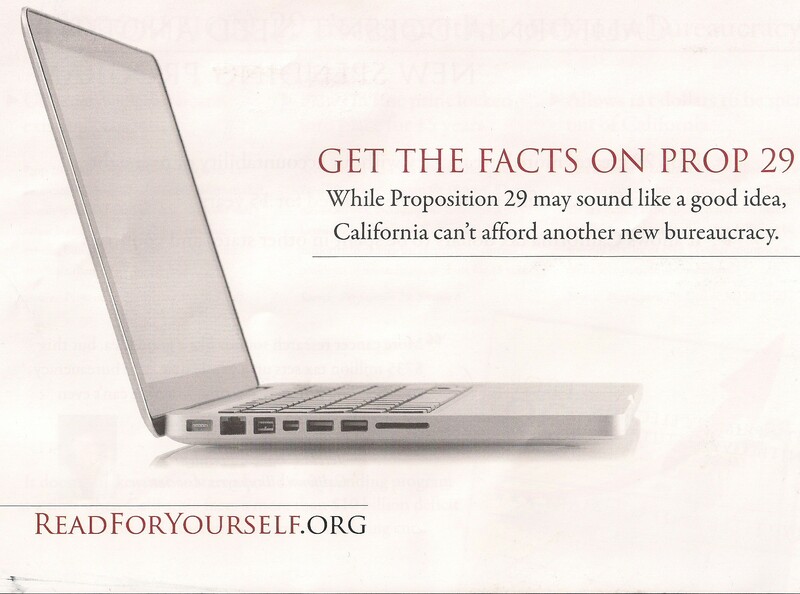 I received this mailer earlier this week from the No on Proposition 29 campaign. 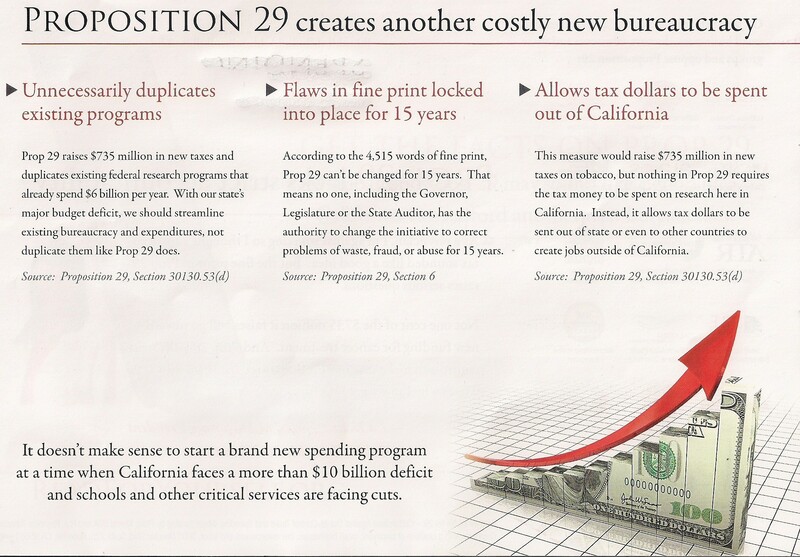 It will need to be the first of many mailers and TV commercials if they want to win. 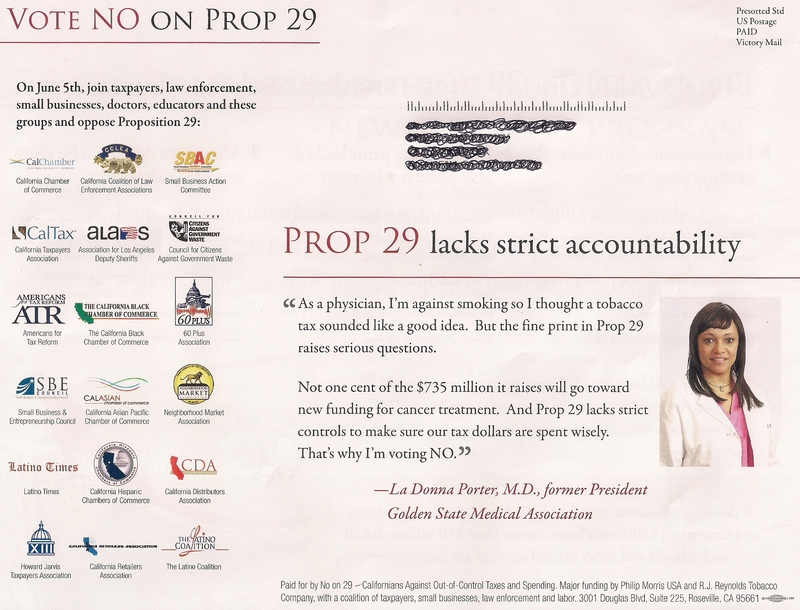 Generally California voters tend to always vote yes on ta increases on cigarettes and I do believe if given the opportunity they would vote to ban smoking altogether. 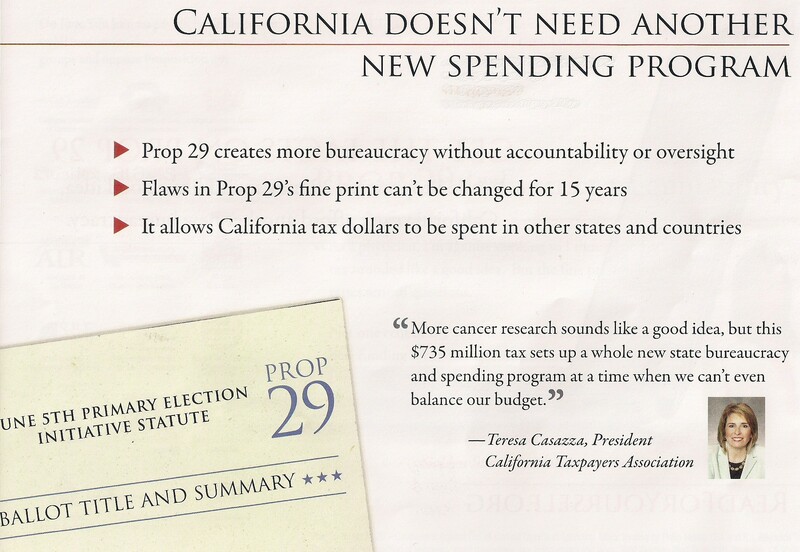 This entry was posted on May 4, 2012 at 2:27 PM	and is filed under Mail. You can follow any responses to this entry through the RSS 2.0 feed. You can leave a response, or trackback from your own site.